Another picture release from V-Jump on the newest game from Bandai Namco that reveals playable characters Yamcha and Tenshinhan with this buddy Chiaotzu. From the picture Yamcha will have the move wolf fang fist and the spirit bomb. 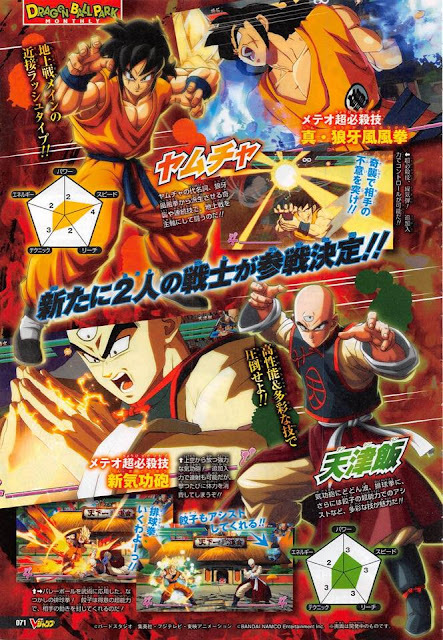 Also Tenshinhan will have a series of low hitting attacks low, solar flare and his buddy Chiaotzu support him. Watching Retrospect the Gamer Twitch Stream Fortnight From San Antonio.